If you have 2 Mac laptops, or a mac computer and a mac laptop, then you can now use both of them and browse both through a single keyboard or single mouse. An application called Teleport by Abyssoft. It helps in making 2 or more Macs work together with a single mouse. Its easy as pie to set up. 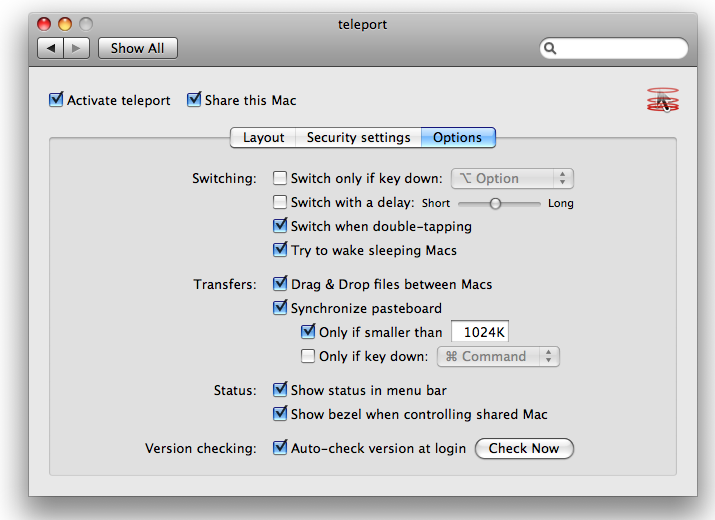 Simply download and install Teleport on both the Macs, a few settings later and you”re sailing. 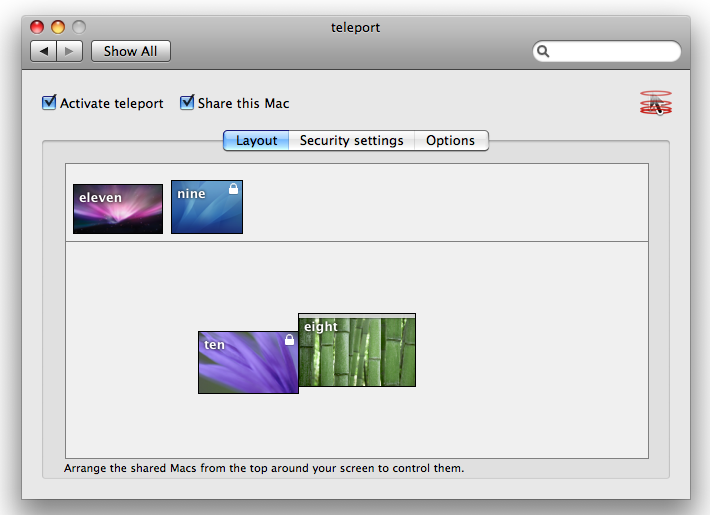 The advantage of Teleport is to allow you to manipulate two or more Macs at the same time from one interface, simply by moving off the edge of online casino your screen. The pointer then magically appears on the other Mac”s screen, very much like how it does when your Mac is configured for dual display mode. Only instead of using a single computer and two displays, you are harnessing the power of two computers with a “single dual display”. It works on all versions of Apple OS like Panther, Tiger and Apple. And it is available in languages like English, French, German, Italian, Spanish, Danish and Czech. There are many options you can work out with and it checks for version update with a single click, although version tracker pro is always there for that. YO that is pretty cool.